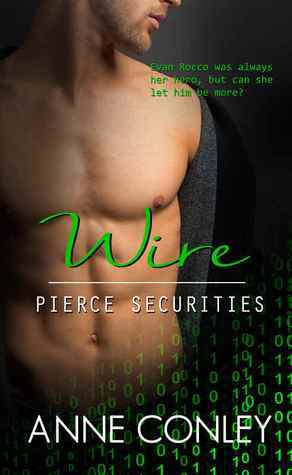 After reading and loving Anne Conley’s The Fixer Upper, I jumped at the chance to receive an ARC of Wire. What surprised me most about Wire is how different it is from The Fixer Upper, which I would label as a dramatic romance with touches of humor (basically chick lit). Wire, on the other hand, is a unique blend of various genres including romance, humor, mystery and suspense, as well as insight in to the world of online gaming. In fact, there were times when I was so caught up in the mystery and suspense that I completely forgot about the romance. What a cool book! Not only is the storyline in this book unique and engaging, but so are the characters. I’m amazed by all the details Conley provides about her MCs, making them both complex and memorable. She also has a knack for creating smart, free-flowing dialogue with punches of wit. As for the romance aspect of the book, let’s just say lovers of the genre will not be disappointed. From chapter one, Conley never lets us forget how hot the MCs (Evan and Paige) are for each other, especially during the blush-worthy intimate scenes. Wow. Anne Conley is a must-read author. I will definitely be reading Craze (Pierce Securities Book 1) along with any other books she adds to the series.